Now, aid workers and policymakers working on food security and looking for easy access to malnutrition data in Yemen, or how rainfall tends to vary in Syria, can turn to a handy web-based tool. DUBAI, 8 March 2013 (IRIN) - Researchers and civil society activists in the Arab world have always complained that a lack of information has contributed to poor policies on development and resource management. �Arab countries do not have enough data and when they have it they are reluctant to share it among them,� says Hamed Assaf, a water resource management specialist at the American University of Sharjah in the United Arab Emirates. �High quality and freely accessible knowledge is power, especially for evidenced-based research for effective and efficient policy design and implementation throughout the Arab world,� said Perrihan Al-Riffai, a senior research analyst with the International Food Policy Research Institute (IFPRI), which created the tool. Launched in February, the so-called Arab Spatial, developed with the support of the International Fund for Agricultural Development (IFAD) and the Consultative Group on International Agricultural Research (CGIAR), aims to be a one-stop shop for food security data from the region. 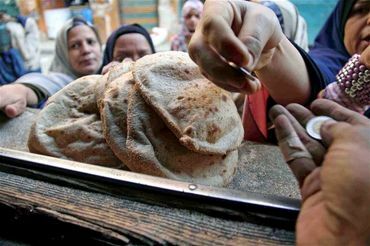 Food security has long been a challenge in the Arab world, as many countries depend on food imports for basics such as wheat flour. But uprisings in much of the region have amplified the problem and driven more families into poverty. �It has been extremely difficult for the millions of people who were already struggling to feed their families before the unfolding events of the Arab Spring [and] more families now face the challenges of collapsing economies and lost jobs as a result of the instability,� said Abeer Etafa, a spokesperson of the World Food Programme. But the precise impact has been hard to track. According to IFPRI, only half of the countries in the Middle East publish poverty figures publicly and even so, with varying frequency and accuracy. The Arab Spatial software is designed to measure food security at national, subnational and local levels. Users can generate maps and metadata using more than 150 food security and development-related indicators related to poverty, malnutrition, disease, production and prices, public finances, exports and imports. The tool aims to empower decision-makers, civil society representatives, researchers, journalists and others. IFPRI says several government officials have already showed interest in using it and hopes governments, regional organizations and others will help fill information gaps on the portal. In recent years, increased recognition of the similar problem of lack of data on water in the region has led to several initiatives aimed at better collection and sharing, including the NASA Goddard Space Flight Center�s Land Data Assimilation System, the �Ask a Scientist� initiative at the International Center for Biosaline Agriculture, data collected by the World Bank, and a new database on natural water resources in the Arab world by the German government�s Federal Institute for Geosciences and Natural Resources (BGR). Forgive me but this caused my mind to wander to the building rampage in Dubai, (Arab Emirates et al...) with hotels that reach the limits of human aspirations and all of it is for "luxury" guests. The fellow "Rich and Famous" or jet setters, and the locals do get a chance to serve this gaggle of wealthy nomads, at very low wages. I really don't see much direct concern or efforts to "lift thy brother" in these projects. Who really NEEDS a giant new home built on a man-made island? A super Luxury hotel with toilets, that do not flush? I would be far more impressed to see efforts for an improved society, and less focus on things are not substantial, but do of course feed the EGO of the Emirates themselves. Sorry I do realize that comment was a bit off topic, or was it really? When there wasn't data to document needs, it was probably easier to spend money in nonhumanitarian ways Kit is the probable connection.You cannot currently send a star to Kit because you have done so within the last day. You are welcome Suheyla and Rose. What's needed next might be a US food security tracking tool, don't you think ? It's NOT that govts don't know where insecurity exists, but their will to change that! You cannot currently send a star to Zee because you have done so within the last day. Frankly, to me this smells a bit like pushed by govt to discover possible spending cuts for foreign aid. You cannot currently send a star to Angelika because you have done so within the last day. Interesting though I find it a bit off and possibly smell ulterior motives at work. Sigh. You are welcome Zee and Robert.